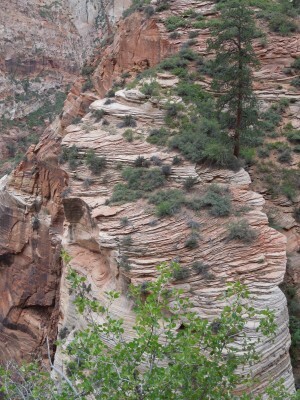 I am in Zion National Park, my first visit here since 1984. I thought it time to experience its abundance again after more than half a lifetime. It does not disappoint. In fact, its majesty is far greater than I remember. I am with my daughter, a great joy. We hike to Observation Point, an eight-mile journey that is a visual feast, nourishment for the body and spirit. Fortresses of rust-colored Navajo sandstone rise from the desert in fascinating forms. 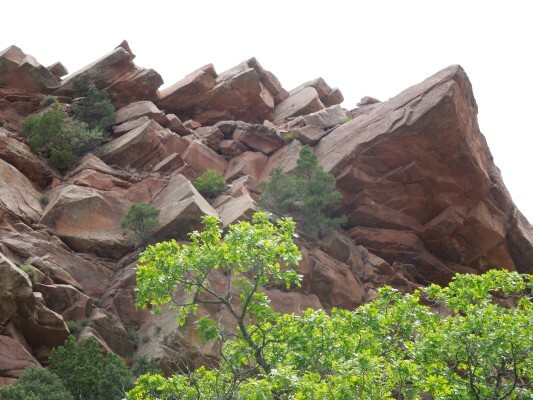 boulders cut through as though sliced by a knife, a dizzying array of striations and crenellated formations. 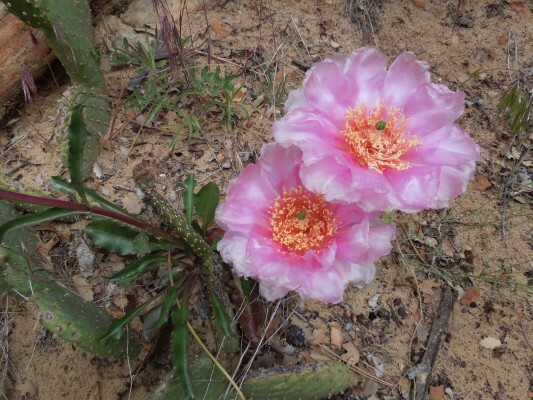 A profusion of wildflowers in fuchsia and violet sprouting from every cleft, softening the edges, prickly pear cacti blooming in shades of hot pink and pale yellow. Trees with leaves of the brightest green to the deepest hunter, a multitude of textures and contours. On another day we drive to a less touristed part of Zion, Kolob Canyon. There, we hike a more modest five miles along the lovely Taylor Creek to gigantic double arches that soar far above the trees and surrounding landscape dwarfing us humans by their size and grandeur. 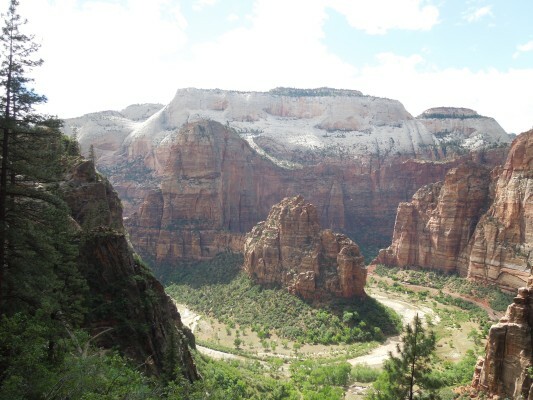 We decide we could spend a week exploring the wonders of Zion, but it is time for us to meet up with a group of fellow travelers to hike the Grand Canyon.